Meg Galus graduated from DeKalb High School in 1996. She was an active member of the Forensics team and drama productions. After graduation, she went to Illinois Wesleyan University and earned a BFA in Theatre. In 2005, Meg attended the French Pastry School in Chicago and went to work as an intern with Tru. Within 5 years she had worked her way up to Sous Pastry Chef. Since Tru, Meg has been the executive pastry chef at Park Hyatt Chicago and NoMI Kitchen. In this time, she garnered her many accolades, including StarChefs Rising Star award in 2011, Tasting Table’s Top 10 Best Pastry Chefs in 2012, and four Jean Banchet nominations. 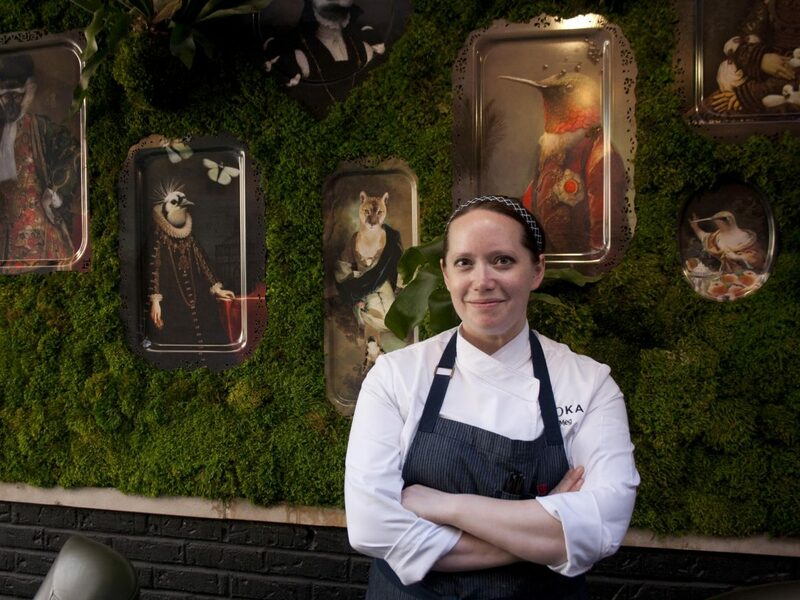 In 2013, Meg took home top prize at the Chicago Restaurant Pastry Competition. In 2015, Meg joined the Boka Restaurant Group (BRG) team and now is the Executive Pastry Chef at several BRG restaurants including Boka Restaurant, Cold Storage, and Summerset. “Before it’s interesting or innovative, it has to be delicious,” Meg shared on her dessert philosophy in an interview with NewCity Resto. Meg’s parents still live in DeKalb and are active members of the community. 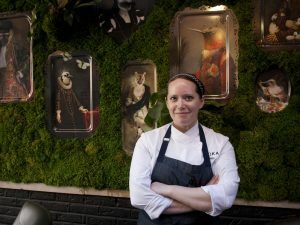 “We are very proud of Meg’s accomplishments in the pastry field and of course her being a finalist for the James Beard Pastry Chef Award,” Bill Cummings, Meg’s dad said. “We also know how she loves her profession and how hard she has worked over the past 12 years to hone her skills toward creating new and wonderful pastry desserts. She certainly is one of DeKalb’s own who has done well,” Cummings continued.